Apparently I am becoming impossible to ignore. 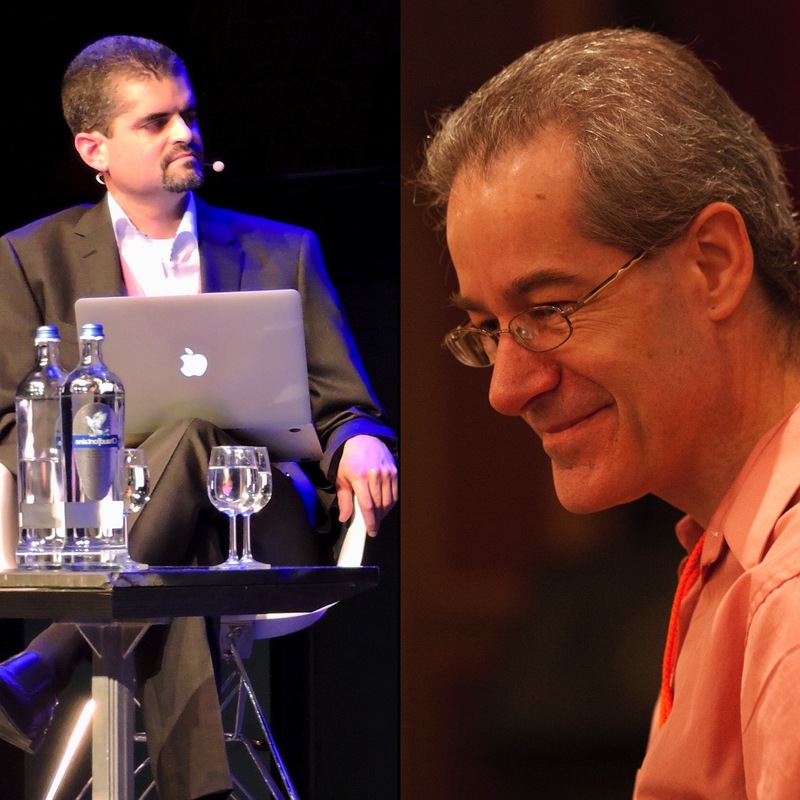 Professor of philosophy, former podcast co-host and self-proclaimed skeptic, Massimo Pigliucci, has now written an essay titled "Does the universe suffer from multiple personality disorder?" in which he attempts to criticize my ideas. In this post, I shall comment on Massimo's essay. I stress the word 'comment' because this isn't really a rebuttal or response: there is little of substance in Pigluicci's essay to actually rebut or respond to. As a matter of fact, I hope Pigliucci's essay is widely read, for it will likely be taken by thoughtful and honest readers—those I care about and cater to—to constitute evidence for the solidity of my ideas. For if the best a well-known philosopher and public intellectual—who is so clearly motivated to criticize me—can do is that essay, what else do I need to argue? I even feel tempted to remark at this point, though I don't really mean it, that with adversaries like that, who needs supporters? Unlike Pigliucci, I shall comment based on substance. Yet, I shall also comment vigorously and honestly, not through a smokescreen of passive aggression. My motivation is to highlight what Pigliucci's essay illustrates about the state of our culture today, when it comes to anything that contradicts physicalist intuitions. This is particularly significant here because Pigliucci is an active member of academia and, as such, should be held to higher standards than the ranting online bloggers from whom one would expect this level of criticism. Pigliucci starts his essay by implicitly labeling my philosophy a form of panpsychism. Whereas this might be justifiable under stretched definitions of panpsychism, I think this classification is inaccurate. Broadly speaking, panpsychism is the notion that all matter is conscious. I, on the other hand, hold to the view that matter is in consciousness, as an excitation of consciousness, insofar as it is only known as a particular category of experience (namely, perception). As a matter of fact, I have even written an essay in this blog denouncing panpsychism as a threat. Pigliucci derogatorily labels my views "crazy." He "can’t believe [my paper in the Journal of Consciousness Studies] passed peer review." Make no mistake, this is a serious accusation: it not only accuses me of incompetence, it accuses a renowned journal of incompetence as well. Coming from a practicing academic, one would fully expect such an accusation to be backed up by substance. So what does Pigliucci back it up with? Amazingly little. Let's look into it. Pigliucci thinks that there is no 'hard problem of consciousness.' Therefore, any attempt to resolve or circumvent the hard problem is, allegedly, redundant and violates Occam's proverbial Razor. There is allegedly no empirical evidence for there being consciousness associated with anything but living organisms. These points don't constitute an attack on my particular views any more than they constitute an attack on any non-physicalist view to begin with. As such, they contradict a huge body of peer-reviewed work in philosophy spanning at least since Nagel's seminal 1974 paper (to speak of modern academic philosophy alone). Therefore, I hardly need to spend any effort rebuking them. Nonetheless, I shall comment, because I think Pigliucci's attempt is revealing in another way. Bear with me. Regarding point 1, if Pigliucci thinks that there is no hard problem, then the burden is on him to explain how one can deduce, at least in principle, the qualities of experience—what it feels like to see red, to fall in love, to have a belly ache—from abstract, relational physical quantities such as mass, charge, spin and momentum. If he can't do it, his only alternative is some form of eliminativism: the absurd notion that the qualities of experience actually do not exist. Pigliucci's appeal to Occam's Razor here is painfully ironic: by postulating that there is a whole ontological class outside and independent of experience—existence's sole given—it is physicalism that violates the principle of parsimony insofar as there are coherent alternatives that avoid such inflationary postulate. I have elaborated extensively on it in another academic paper that Pigliucci would, I guess, also not believe passed peer review (it did). Regarding point 2, Pigliucci's demand for differentiating evidence for panpsychism or idealism seems to misunderstand the point of these ontology exercises, which is remarkable for a professor of philosophy. You see, ontology is an attempt to interpret all available empirical evidence from a categorical perspective. As such, under ideal circumstances, the evidence is the same in all cases: physicalism, panpsychism and idealism are all attempting to make categorical sense of the world we perceive, including the outcomes of scientific experiments. And that such a thing as experience exists is also empirical evidence that needs to be made sense of: in fact, it is arguably the only evidence we have, existence's sole given. So one can easily turn the appeal to evidence against physicalism: How does physicalism explain the qualities of experience, which are all we ultimately have? It is not enough to simply dismiss the 'hard problem' or, absurdly, deny that experience exists. As argued above, one needs to offer a coherent logical link between physical quantities and phenomenal qualities; at least in principle. I challenge Pigliucci to do so. All this said, there is indeed vast amounts of the exact kind of differentiating, scientific evidence that Pigliucci is looking for, to support my views. 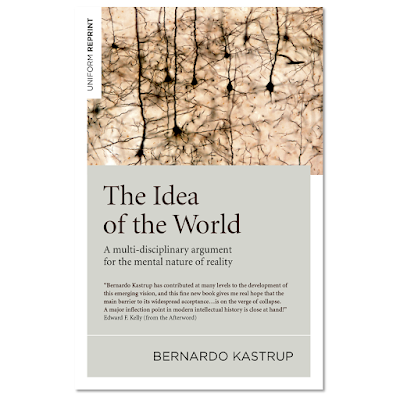 I have elaborated extensively on it in my new book, The Idea of the World, but will briefly summarize it here by reference to yet other peer-reviewed academic papers I've published. For starters, if the individual consciousness of a living organism is indeed a dissociated alter of universal consciousness, one would expect certain types of impairment of brain function to correlate with an expansion of the organism's phenomenal field. In other words, an impairment of dissociation should render the dissociative boundary more porous. And indeed, there is a broad pattern of observations confirming this, as discussed in this paper. In another paper, I've argued more explicitly why these observations contradict physicalism, with reference to the effects of psychedelics. Moreover, if—as I argue—all matter is the extrinsic appearance of inner experience, then one would expect the universe at its largest scales to be, in some structural sense, similar to an organism's nervous system. After all, we know empirically that the latter is the extrinsic appearance of conscious inner life. As it turns out, there are indeed unexplained, "stunning" structural similarities between galaxy networks and neuronal networks. Finally, there are now over 30 years of evidence from quantum mechanics that call into question the tenability of any ontology other than idealism, as discussed in this and this popular summaries on Scientific American of an argument more broadly made in The Idea of the World. I am elaborating on all this not to rebut Pigliucci's points—as I said earlier, they require no rebuttal—but to give context to the key question of this post: Given all the above, how can an academic and public intellectual go as far as to claim, without any specific substantiation, that he "can't believe" a published paper in a respected journal passed peer review? I don't think this should be taken lightly. There is an ethical issue here. Moreover, although I am charitably assuming that Pigliucci actually read my full JCS paper—would he really claim it shouldn't have passed peer review if he had not even read it?—his essay offers troubling signs that he didn't. For one, he only quotes from my Scientific American article, which is a popular summary of the key ideas, not an academic piece. He never quotes from the actual paper. Secondly, he conspicuously mistakes the title of the paper (it is "The Universe in Consciousness," not "The Universe is Consciousness"). One could attribute this, of course, to an ordinary and innocent typo. But then, thirdly, there is the fact that he fails to address any specific point of my technical argument, staying with broad generalities applicable to anything that isn't physicalism. I would imagine that, upon having actually read the technical paper, he would unavoidably have something specific to say about it. Indeed, Pigliucci calls my ideas "crazy" without offering a smidgen of specific substantiation. What gives him the confidence to do so? What makes him believe that he can get away with it, as an academic and public intellectual? I will tell you: it is the brute fact that, given our cultural context today, he can get away with it. Watch it as he does. The standards do not apply equally here. While I have to publish 13 peer-reviewed papers and a 312-page book laboriously elaborating on explicit and detailed arguments and swaths of evidence—from disciplines as distinct as physics, neuroscience, psychiatry and analytic philosophy—a self-proclaimed skeptic physicalist feels entitled to fire a missive from his armchair, having hardly spent the effort it takes to come to a minimally fair and professional assessment of what I am saying. This says something about the self-proclaimed skeptic; not about my views. We live in a world wherein physicalists, despite the problems of their position, and while embodying a paradoxical combination of slackness and arrogance, feel entitled to dispense with thoroughness and respect when criticizing other views. Yet, as any thoughtful reader will discern in Pigliucci's hack job, the joke is on them. To close this post, allow me to address Pigluicci: Massimo, did you actually read my JCS paper? Do you have anything specific to say about its salient points? If so, please do and tag me, so I can react. I do not take lightly the unsubstantiated statements you made about the paper and, indirectly, about the respected journal that published it. I think it is academically irresponsible and reprehensible. Indeed, I call on you to either substantiate your statements with specifics, or publicly retract them. Better yet, debate me in a neutral online platform, so people could better judge, for themselves, the merits of our respective views. This would give you a much more credible opportunity to show the "craziness" of my position. If we do it online, you can surely find some time in your schedule to participate from the convenience of your own home. I propose, for instance, the Patterson in Pursuit podcast, whose host is well versed in philosophy and is neither a physicalist nor an idealist, so he could be a neutral moderator. I haven't spoken to Steve about it, but I am confident he would accommodate, if we both were willing to do it. He's a coward. Despite his denials, it's pretty apparent he just read the SA piece and not the technical article. I'm not a fan of Chopra, but using your tagging of him in your tweet as an excuse not to engage was pretty pathetic. I agree, Troy. If he did read the paper, he doesn't seem to have retained anything at all about it. So I honestly don't think he read it all. And that he felt confident enough to say what he said without having read it is nothing short of astonishing, if not disgraceful. Just took a look at his Wikipedia entry and was amused to read that he has participated in multiple debates with young-earth creationists and proponents of intelligent design! I'm sorry, but I can't help but think that his lame attempt to get out of debating with you is because he only participates in debates where he knows he will win. However, I agree, I am sure he would prevail over young earth creationists. I would be happy to moderate a debate between you two. I used to believe that the age-old debate between Western theologians and Western materialists was a serious dialogue over two coherent worldviews. I realize of late that it’s nothing more than a sophomoric babbling contest between two groups of equally conceited Westerners. What we need is a cleansing wind from the East to blow away all this Eurocentric hot air. Your work is a huge step in that direction. I used to believe the same and very much agree with your summary. I am very far from the academia, but I can understand what I read. This Max guy should work as screamer author for headlines in some sensationalist newspaper. His text title is so dishonest as what follows with poor arguments. Claiming there is no evidence for what you're saying is pretty easy to say. Off course there won't be a double blind RCT for things like this. The hard evidence will be hard to gather. The DOPS guys are fantastic! I think you should call him out - you're not asking him to debate with Deepak Chopra, but with you. Say that if he won't, he's chicken. I just did it on Twitter, Ben (not quite in these words, though :). I did it because he doubled up today, calling me a pseudo-philosopher when declining to debate. I agree that some of the language used by the philosophy teacher are uncalled for...anyway, Bernardo something occurred to me, the way consciousness intrudes...not fully formed. For more to say about us being and experiencing IN consciousness, I like to think of consciousness, the ground of being or Allah...whatever name floats your boat...as being powerful, all powerful. Lightening is something we have to accept at face value...and when it strikes, whatever it hits or even comes near conducts or is fused or destroyed. I like to think of our brain as a complex reducing valve for consciousness in consciousness, the mechanisms of which are poorly understood, but whose main function is to regulate the trillions of physical processes that are going on IN PARALLEL in our bodies. The complex reducing valve could be a metaphor of a series of shunt resistors for circuit protection to protect say a power source from lightning strikes. Now the people that talk about " consciousness as an emergent series of processes"...kudos at least to Pigliucci for correctly labeling it handwaving..but he says its confined to animals and also that one day after a lot of good empirical work is done we will see how consciousness and experience is "squirted" (hey all names are fine!) Out by the brain. But do an experiment with twins...but please don't... raise one with normal upbringing school and parents.expose them to the lightning of consciousnes... ..the other keep in a dark closet. There will be plants with more consciousness to the world than twin B. So does evolution play such a large in consciousness or exposure to consciousness. It seems by the landscape that the screamer strong believes in his name, looking everything from the only top seat at Everest. It's a real shame Pigliucci won't debate you. This is the type of discourse we need in the information age, to separate the wheat from the chaff, as they say. Especially on a topic like consciousness. I wouldn't bother so much as he belongs to a a dying breed. Massimo P is not an honest thinker or a competent one. My particular beef is that he talks nonsense about Stoicism and seems to have little grasp of what it is yet believes he has the right to publish articles about it disseminating his misunderstandings. This is massively irresponsible. He thinks it is possible to reconcile a doctrine of Unity with Materialism and this in itself should be enough to tell us how clearly he thinks. I hope Neony is correct to say he is a dying breed. To me his faults are much more serious than mere incompetence. They indicate the level of dishonesty, self-interest, carelessness and poor scholarship prevailing in academic philosophy. The Philosophy Department is dead and it's no wonder physicists want to take it over. It could only be improved if they did.